Finding design inspiration online is as easy as pointing and clicking but there's something special about the feel of bound paper. 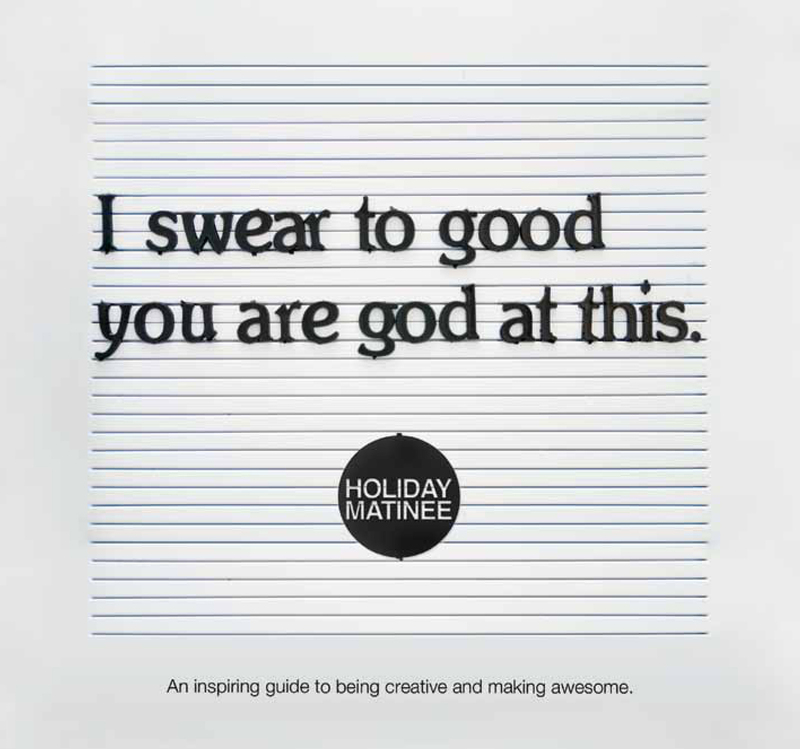 Design and creative consulting company Holiday Matinee founder Dave Brown has penned a 72-page book, I Swear to Good You are God at This, as "an inspiring guide to being creative and making awesome." Holiday Matinee founder Dave Brown's book, I Swear to Good You are God at This, is on sale February 18. Graphic designer Anthony Burrill says, "Work hard and be nice to people." See what else he has to say at anthonyburrill.com. 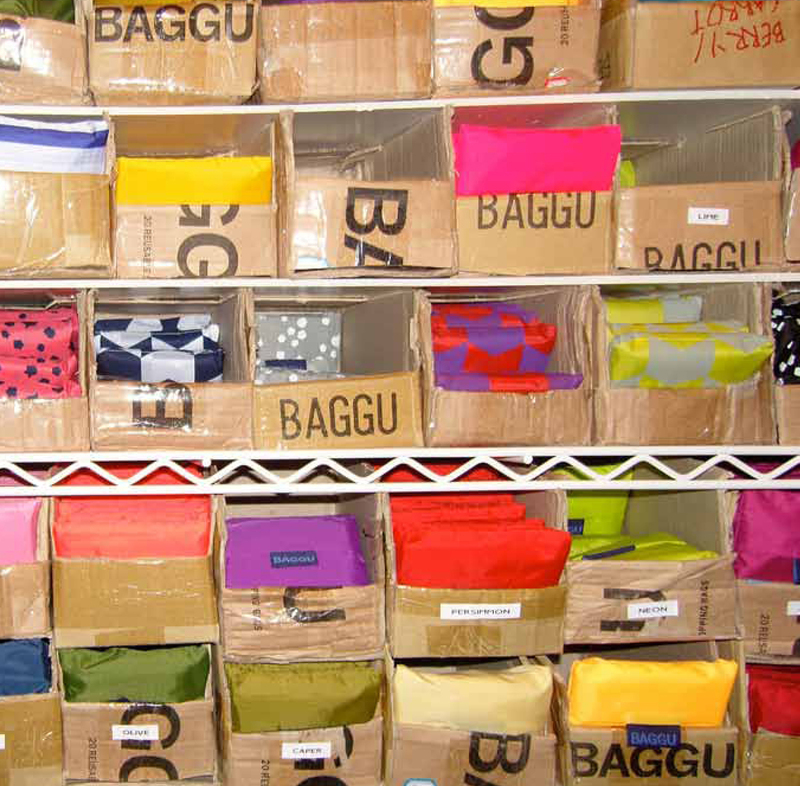 Baggu is the result of a mother-daughter collaboration to make a dent in reducing the use of plastic bags. Their reusable bags are on sale at baggubag.com. Brown calls T-Post the "first wearable magazine." The company sends its subscribers one t-shirt every six weeks with a new article printed on the inside-back and an artist's interpretation of that article printed on the front. To become a subscriber, visit t-post.se. HandMadeFont foundry creates its own typefaces using everything from loaves of bread to carefully manicured patches of grass. View all the typefaces (and purchase your favorites) at handmadefont.com. Brown selected graphic artists Matt Dorfman's own wedding invitation (which chronicles his and his now-wife's eight-year, long-distance courtship) to feature in the book. To see more of his work, visit metalmother.com. Photographer Jan von Holleben's photography is stunning and the epitome of creativty. View more of his scenes at janvonhollenben.com. Illustrator Marc Johns's drawings are as quirky as they are clever. Check out his website for new drawings posted to his blog at marcjohns.com. New York city-based graphic artist Cardon Webb takes handwritten fliers posted in the street (most often by owners looking for lost pets) and turns them into illustrated posters (then reposts them where he found the originals). View more of his work at cardoncopy.com. The book (booklet, really, but bound paper nonetheless) presents 25 people and projects that Brown handpicked as exuding creativity and capable of inspiring people to be inventive (and often to put their efforts to work for the greater good). Each person or project is featured with a spread of color photos and description written by Brown. Though the words read a bit like personal journal notes, they do the job of explaining who the people are and why he thinks they're cool. Plus, there's a link on each spread (and a cumulative list on the back page) to see more of the artist or group's work. Despite it's small size, I Swear To Good You are God at This packs a formidable punch. It delivers good design in a format that enhances its qualities and points you in the right direction for where to find more. The book goes on sale on February 18 but you can take a sneak peak at some of its pages in our slideshow.